It was my first time to see this kind of fruit called “Mariba” by the T’boli people in the mountains of Fallel in Sarangani Province. 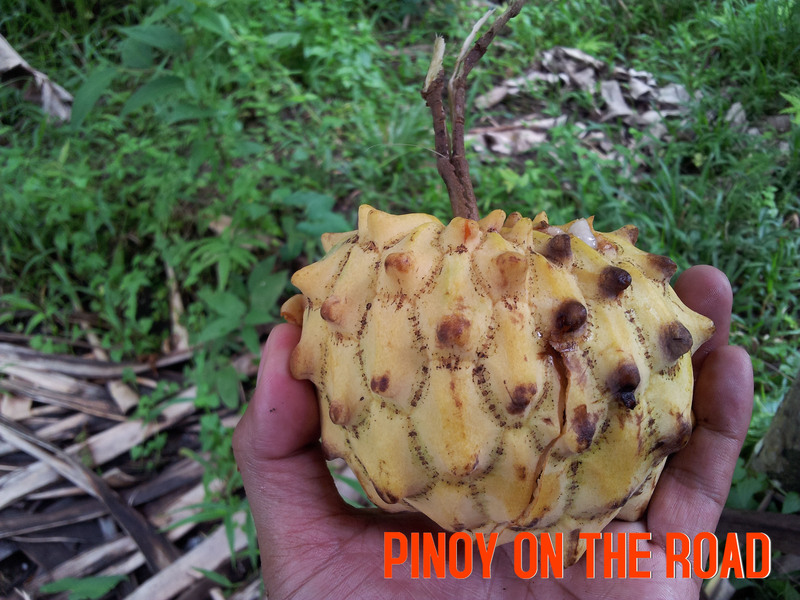 It looks like an “atis” – the Filipino term for sugar apple only that the spikes are larger, the pulp is bigger and it is more juicier and tastier than sugar apple. Locals say that this fruit is a good thirst quencher. I was lucky enough that after my hike to the Fallel Falls I was greeted with this delicious fruit! I have mariba fruit trees in my farm.